In the toolbar, click Debug -> Start Debugging or hit F5 or ctrl + F5 (running without debugger) to run the program. class Program is a class declaration. The class Program contains the data and method definitions that your program uses. Classes generally contain multiple methods. Methods define the behavior of the class. However, the Program class has only one method: Main. 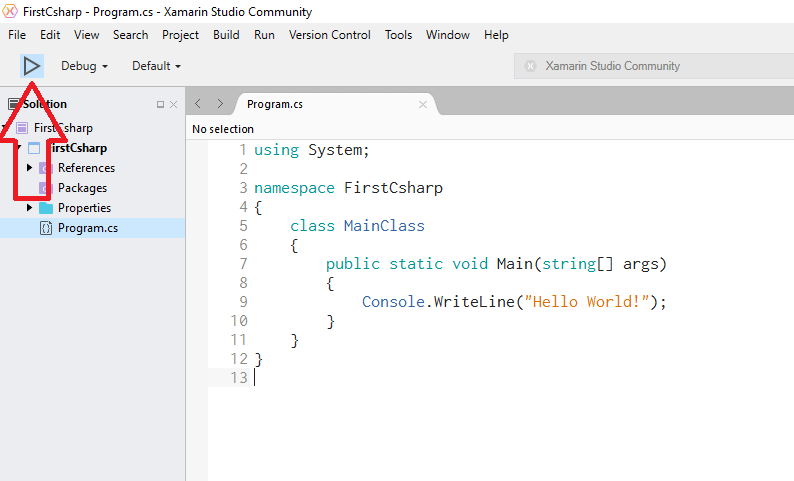 static void Main() defines the Main method, which is the entry point for all C# programs. The Main method states what the class does when executed. Only one Main method is allowed per class. System.Console.WriteLine("Hello, world! "); method prints a given data (in this example, Hello, world!) as an output in the console window. System.Console.ReadKey(), ensures that the program won’t close immediately after displaying the message. It does this by waiting for the user to press a key on the keyboard. Any key press from the user will terminate the program. The program terminates when it has finished the last line of code in the main() method. To compile via command line use either MSBuild or csc.exe (the C# compiler), both part of the Microsoft Build Tools package. 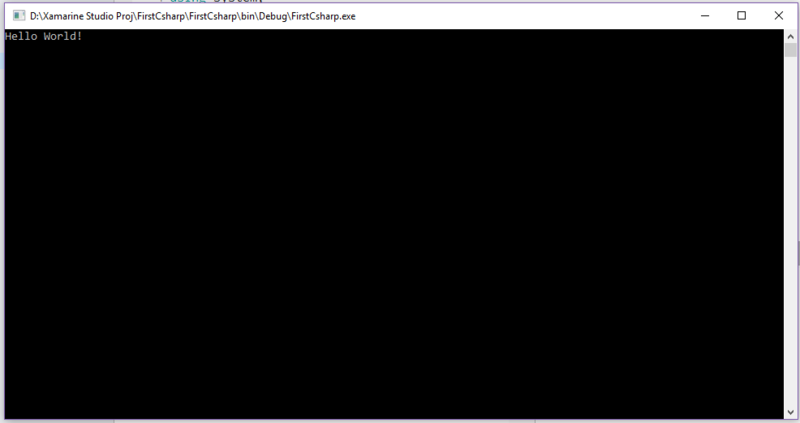 You may also double click the executable and launch a new console window with the message "Hello, world!" 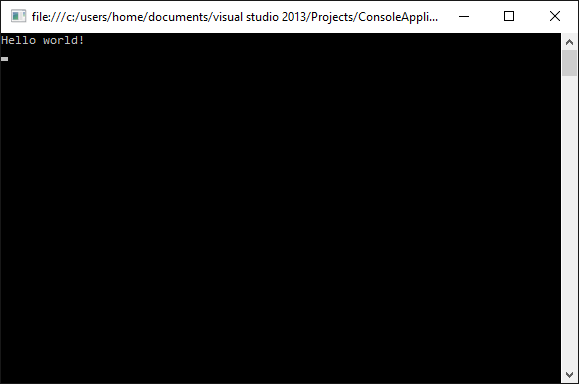 Download and install Visual Studio. 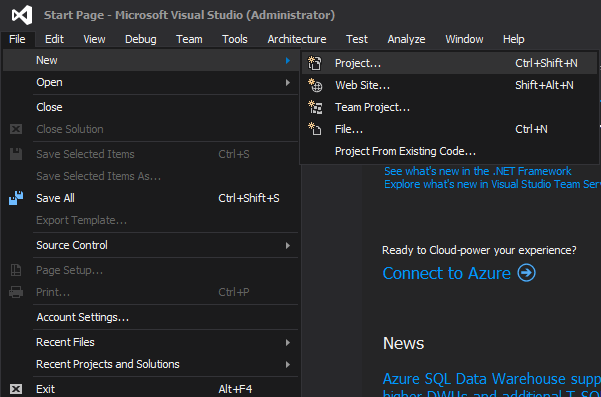 Visual Studio can be downloaded from VisualStudio.com. The Community edition is suggested, first because it is free, and second because it involves all the general features and can be extended further. Welcome. Go to File ? New ? Project. After selecting Console Application, Enter a name for your project, and a location to save and press OK. Don’t worry about the Solution name. Write code. You can now update your Program.cs to present "Hello world!" to the user. Stop the program. To close the program, just press any key on your keyboard. The Console.Read() we added was for this same purpose. Another way to close the program is by going to the menu where the Start button was, and clicking on the Stop button. First install Mono by going through the install instructions for the platform of your choice as described in their installation section. Mono is available for Mac OS X, Windows and Linux. If you are using Windows, run the Mono Command Prompt which is included in the Mono installation and ensures that the necessary environment variables are set. If on Mac or Linux, open a new terminal. After the installation has completed, open a command prompt, or terminal window. Create a new directory with mkdir hello_world and change into the newly created directory with cd hello_world. 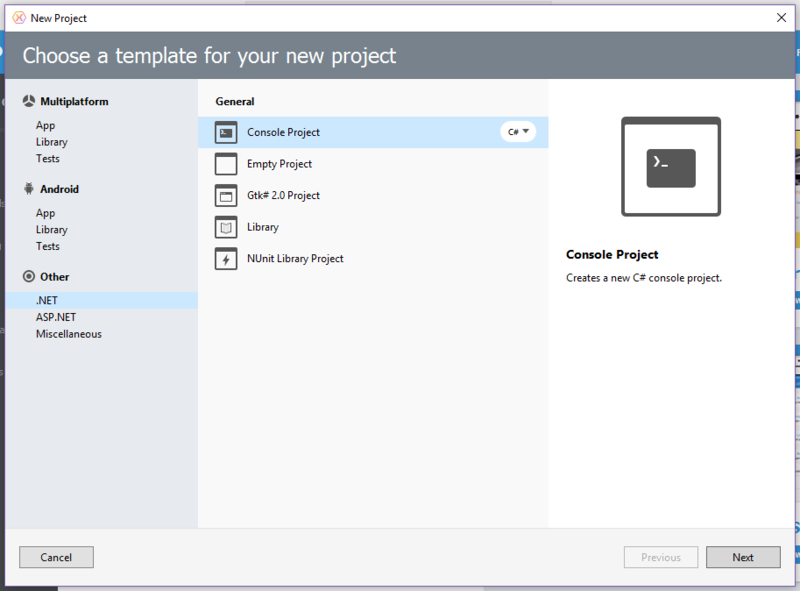 Create a new console application with dotnet new console. Restore the needed packages with dotnet restore. 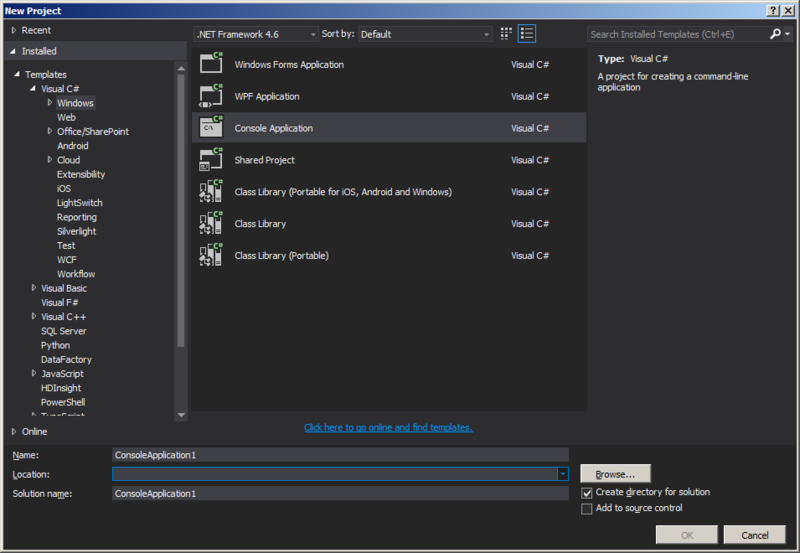 Optional Build the application with dotnet build for Debug or dotnet build -c Release for Release. dotnet run will also run the compiler and throw build errors, if any are found. 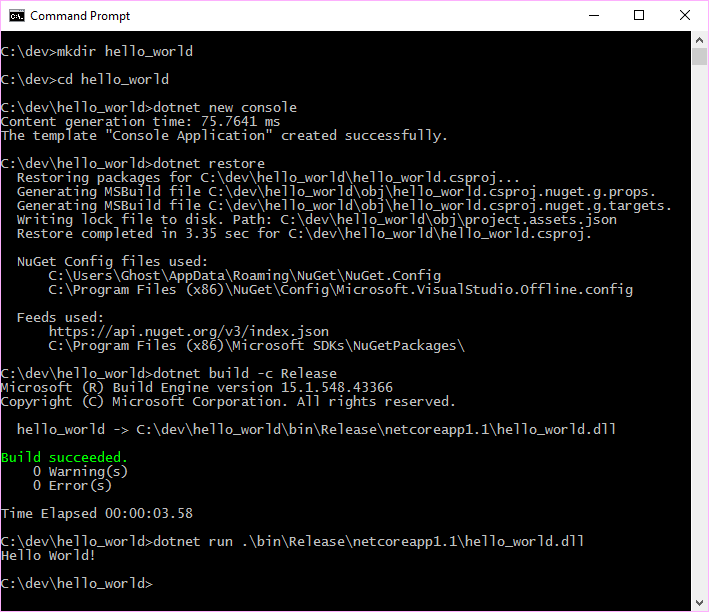 Run the application with dotnet run for Debug or dotnet run .\bin\Release\netcoreapp1.1\hello_world.dll for Release. 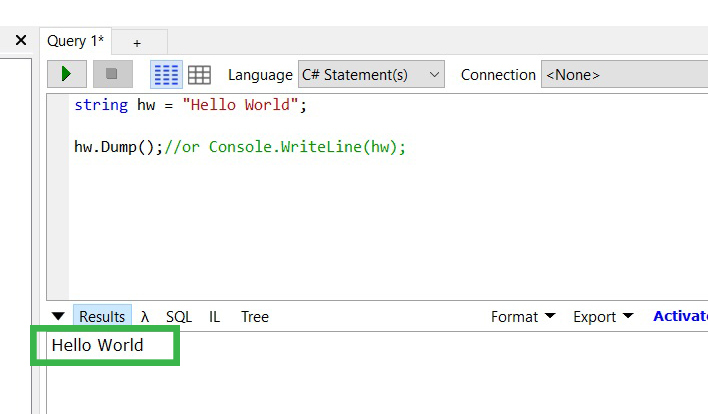 Under language, select "C# statements"
You should see "Hello World" printed out in the results screen. 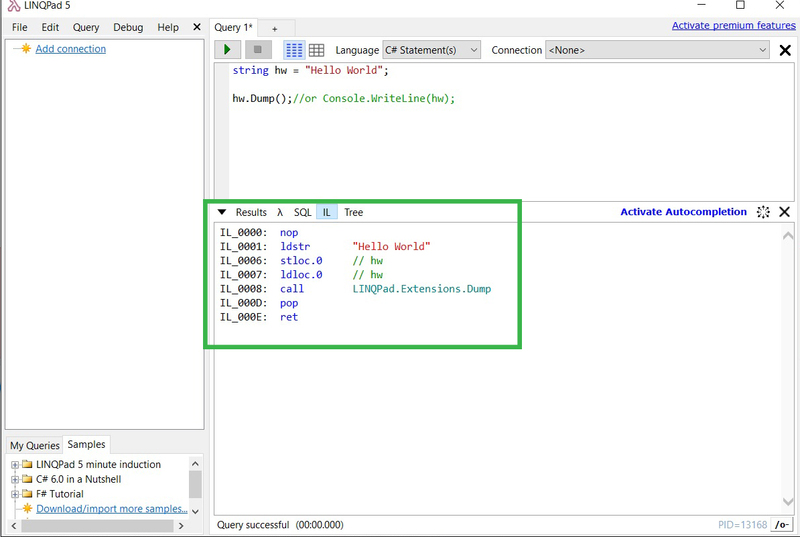 Now that you have created your first .Net program, go and check out the samples included in LinqPad via the "Samples" browser. There are many great examples that will show you many different features of the .Net languages. If you click on "IL", you can inspect the IL code that your .net code generates. This is a great learning tool. 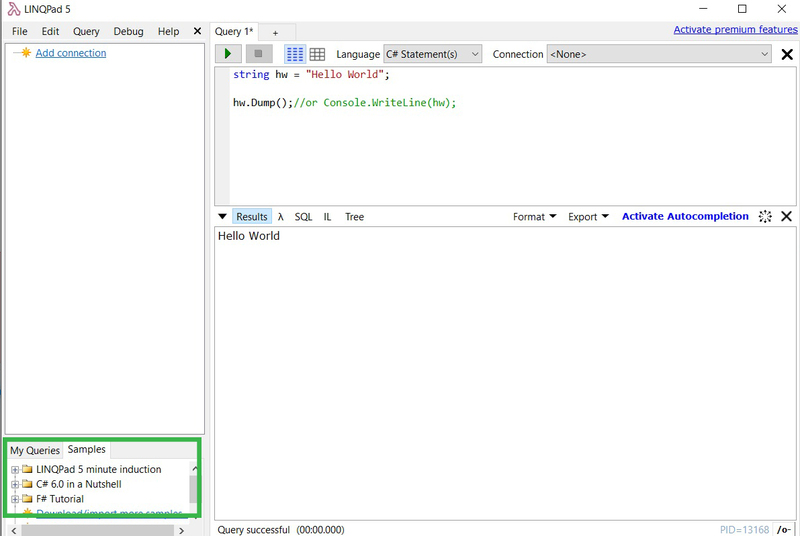 When using LINQ to SQL or Linq to Entities you can inspect the SQL that’s being generated which is another great way to learn about LINQ. 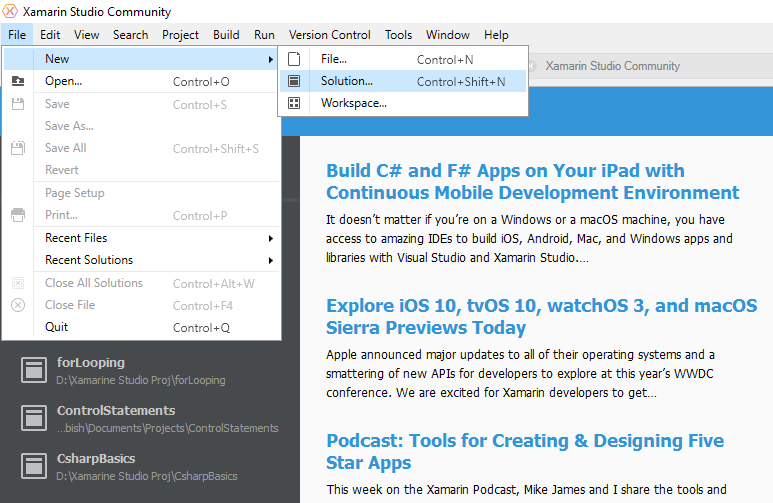 Download and install Xamarin Studio Community. Click File ? New ? Solution. Click .NET ? 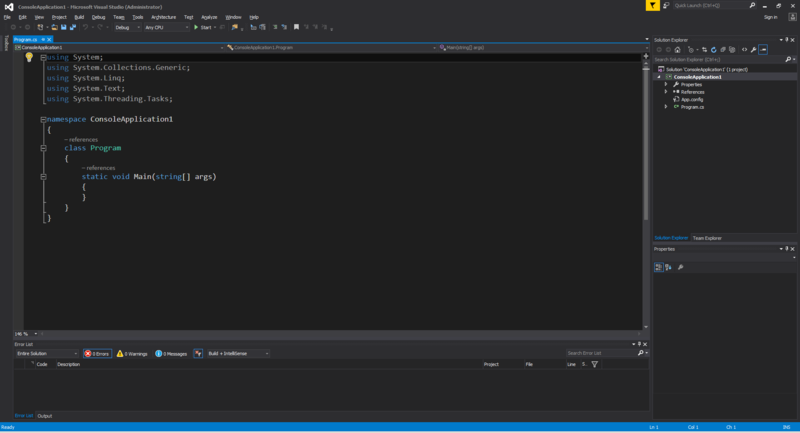 Console Project and choose C#. 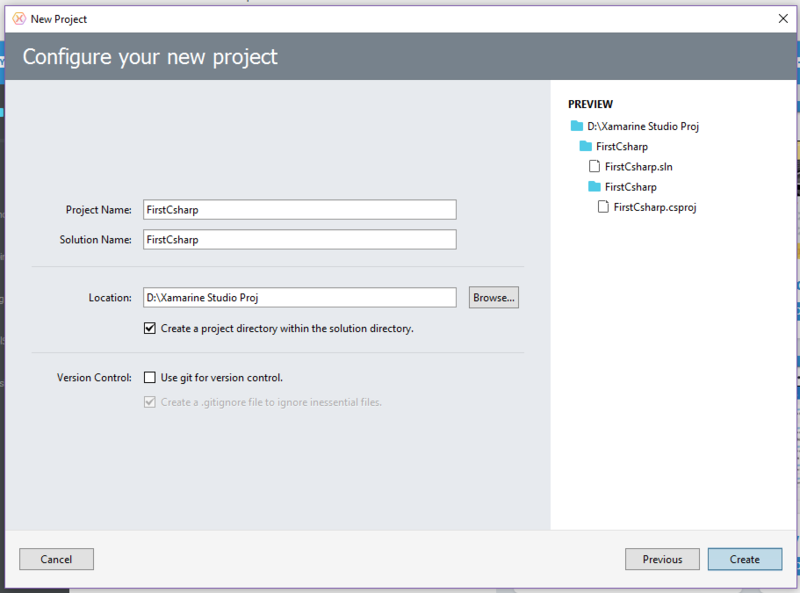 Enter the Project Name and Browse... for a Location to Save and then click Create. 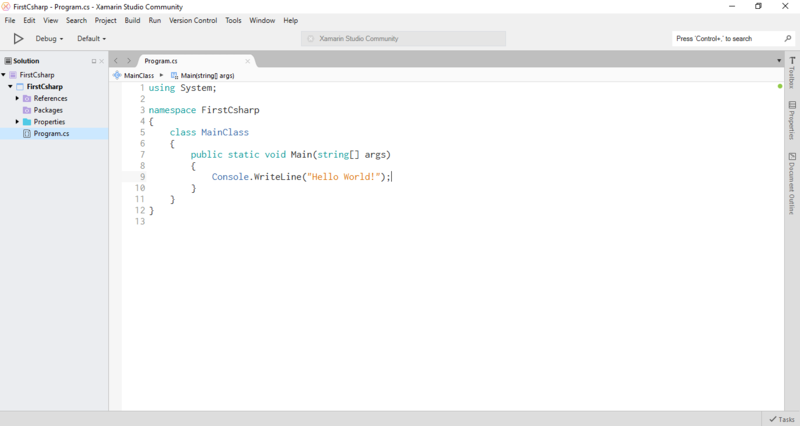 C# is a multi-paradigm, C-descendant programming language from Microsoft. C# is a managed language that compiles to CIL, intermediate bytecode which can be executed on Windows, Mac OS X and Linux. Versions 1.0, 2.0 and 5.0 were standardized by ECMA (as ECMA-334), and standardization efforts for modern C# are underway.